Hi my name is Oriol Escote. This is my second robot, and my first attempt at a legged robot. 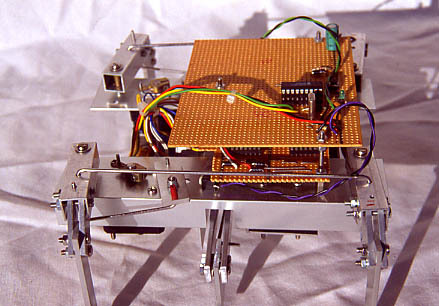 NYA is a six-legged robot who has at this time only one function. when IR photodiodes detects an obstacle. While 3 legs are in the air, the other 3 make the robot go foward. ( it depends on the terrain ). less than $25 for parts.